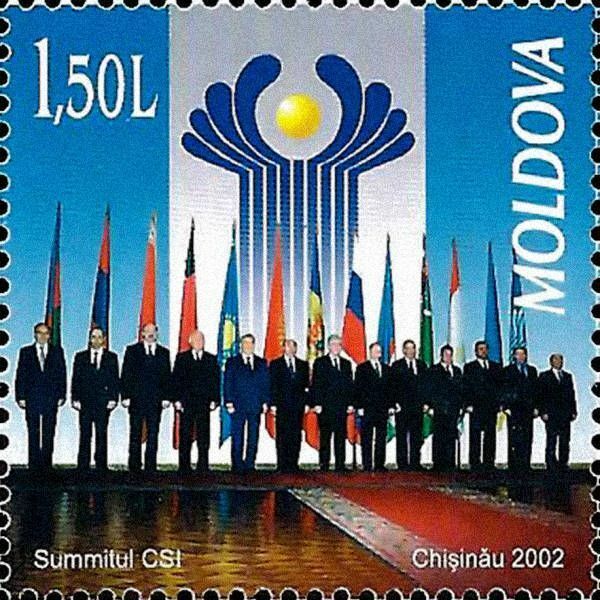 On 6 October 2002, the Post Office of Moldova (Poșta Moldovei) issued a series of postage stamps with the title Commonwealth of Independent States (CIS) Summit. 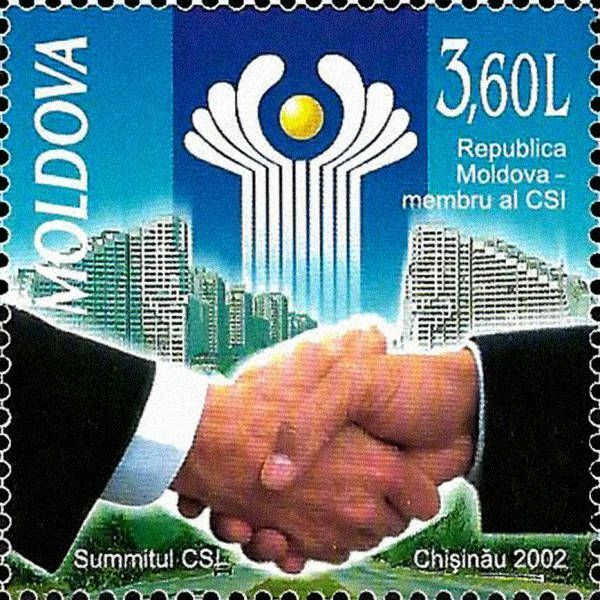 Chişinău 2002. The issue comprises two stamps, with associated cancellation (postmark) and first day cover (FDC). The designer was Vitaliu Pogolşa. The printing was performed by Cartor Security Printing, France. The Commonwealth of Independent States (CIS; Russian: Содружество Независимых Государств, СНГ, tr. Sodruzhestvo Nezavisimykh Gosudarstv, SNG) (also called the Russian Commonwealth) is a regional organization whose participating countries are former Soviet Republics, formed during the breakup of the Soviet Union. Read more.. This article uses material from the Wikipedia article 'Commonwealth_of_Independent_States', which is released under the Creative Commons Attribution-Share-Alike License 3.0.